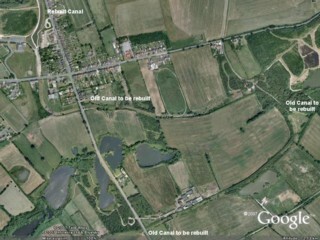 From Measham, the canal headed to the North where it met the road linking Measham to Market Bosworth. 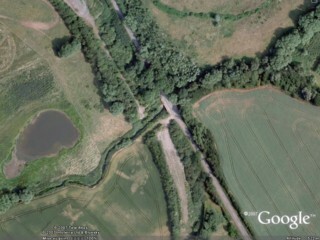 At that some point, both road and canal crossed a river where there must have been an aqueduct. 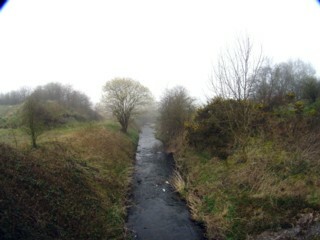 Picture taken in a misty morning from the road bridge. De Measham. l'ancien canal partait vers le Nord ou il se rencontrait la route joignant Measham à Market Bosworth. A cet endroit, le canal et la route croisaient un ruisseau et il y avait donc un pont canal. Vue prise du pont routier un matin brumeux. 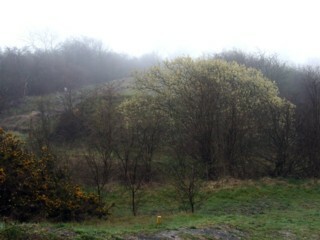 Site of the old aqueduct. Site de l'ancien pont canal. Looking to the North-West, the Ashby Canal to the North of the site of the old aqueduct. Les regards portés vers le Nord-ouest, le Canal d'Ashby au Nord-ouest du site du pont canal. 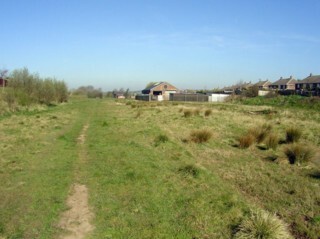 Site of the canal to the North-west of the site of the old aqueduct. Site de l'ancien canal au Nord-ouest du site de l'ancien pont canal. 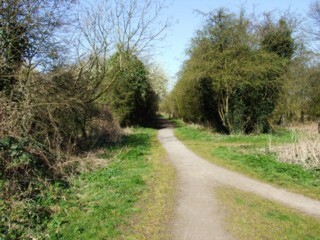 South of Measham, the canal will be diverted along an old railway line. 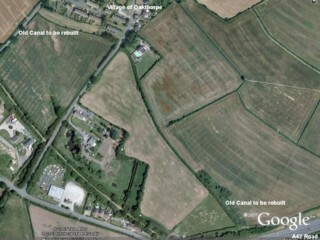 Au Sud de Measham, le canal sera déviée le long d'un ancien chemin de fer. 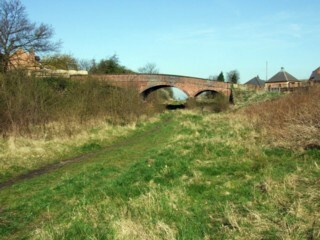 Measham Station Bridge seen from the South. Le pont de la gare de Measham vu du Sud. 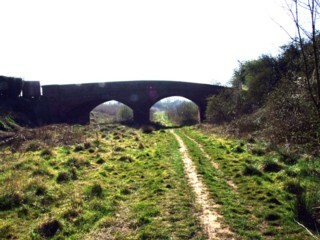 Measham Station Bridge seen from the North. Le pont de la gare de Measham vu du Nord. 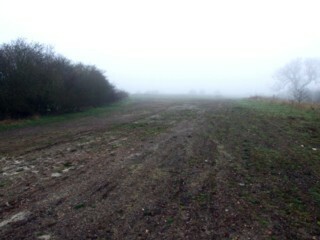 Site de la gare de Measham. 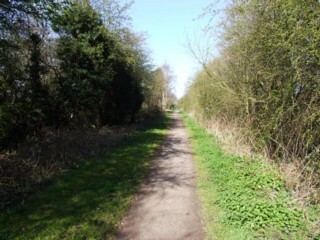 The railway line crosses Measham Main street where an aqueduct must be built. 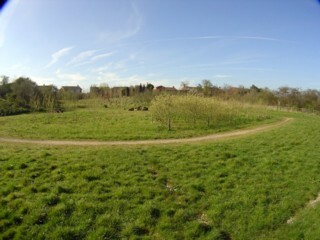 Picture taken to the north of the site of the future aqueduct and looking to the South. 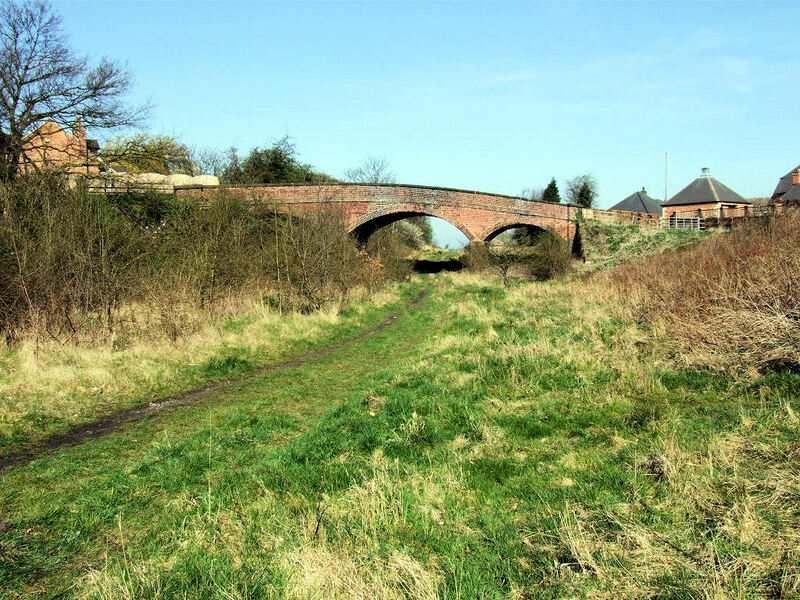 La ligne de chemin de fer croise la Grand'Rue de Measham où un pont canal devrait être construit. Vue au Nord du site du future pont canal et en direction du Sud. 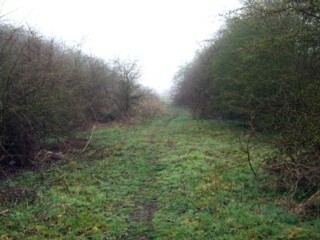 Looking to the North, the railway line to the North of the site of Main Street Aqueduct. Les regards portés vers le Nord, la ligne de chemin de fer au Nord du site du Pont Canal de la Grand'Rue. 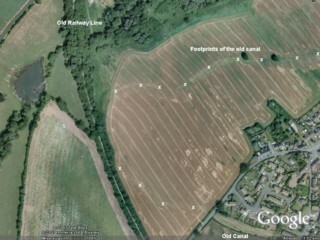 More to the North-west the old canal and the railway line met. 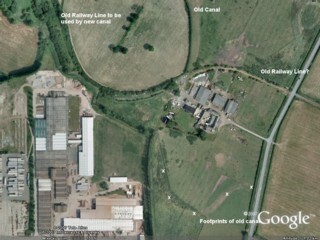 The branch coming from the East whould be rebuilt and used as a dead end branch with mooring facilities at the end. 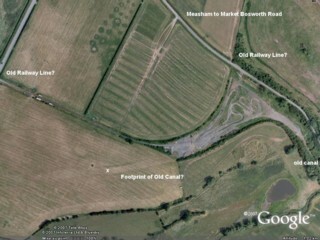 The branch to the North would be rebuilt and the canal will leave the railway. Plus au Nord-ouest, l'ancien canal et la ligne de chemin de fer se rejoignaient. 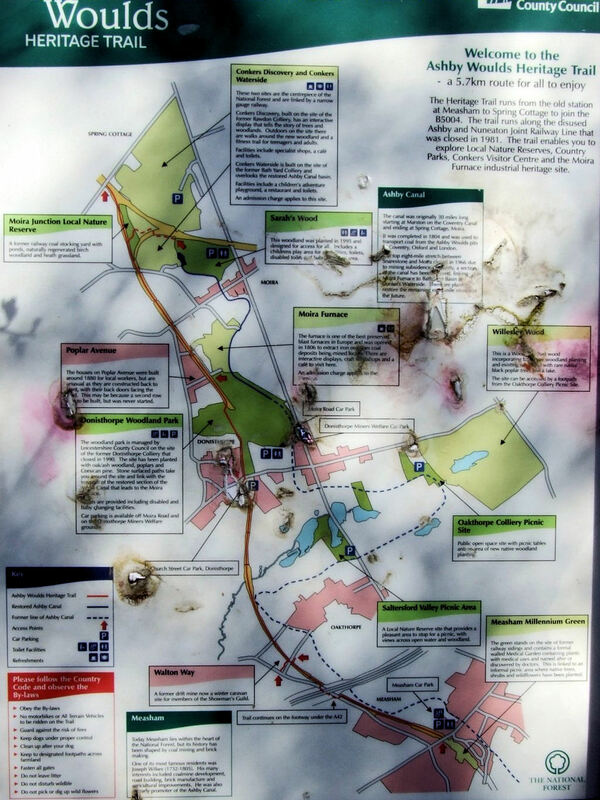 La branche vers l'Est serait reconstruite et serait en cul-de-sac et des amarrages sont prévus au terminus. 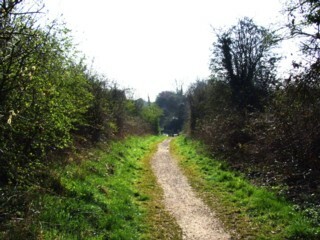 La branche vers le nord serait également reconstruite et le nouveau canal quitterait l'ancienne ligne de chemin de fer. 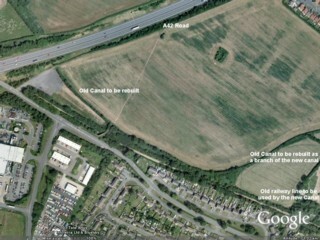 North of the A42 road, the canal heads to Oakthorpe. Au Nord de la route nationale A42, le canal se dirigera vers Oakthorpe. To the West of Oakthorpe the canal joined again for a short distance the railway line. 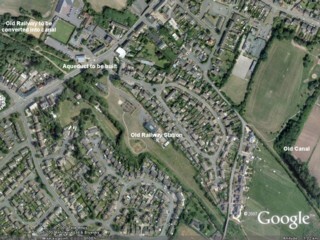 A l'Ouest d'Oakthorpe, le canal rejoignait sur une courte distance la ligne de chemin de fer. To the North of Oakthorpe the canal described a long loop to the East. Au Nord d'Oakthorpe, le canal décrivait une longue boucle vers l'Est.